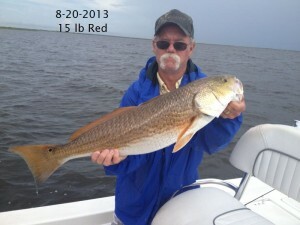 August 31,2013 Tony R. & Ginger Get Slammed & Catch a Nice Mess on Lake Calcasieu!!! 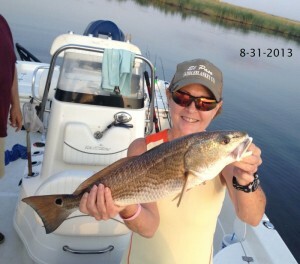 August 31,2013 Tony R. & Ginger Get Slammed & Catch a Nice Mess on Lake Calcasieu!! 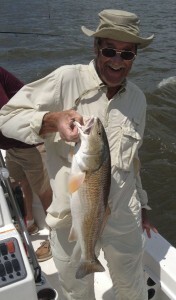 Live Bait & Gulp helped Tony and Ginger have a great getaway with Captain Tom. Ginger had big fish with this nice 5 lb Big Lake Bronze Beauty!!! August 28, 2013 Freddie F. & Friends Blake, Drake, & Neil Have a Great Time Catching a Nice Mess of Lake Calcasieu Beauties!!! August 28, 2013 Freddie F. & Friends Blake, Drake, & Neil Have a Great Time Catching a Nice Mess of Lake Calcasieu Beauties!! Live Bait was the key to this nice box of Big Lake’s best! 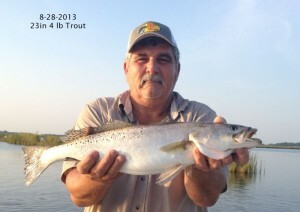 Drake was Big Fish catcher with this Nice 23 inch 4 lb Speck!!! 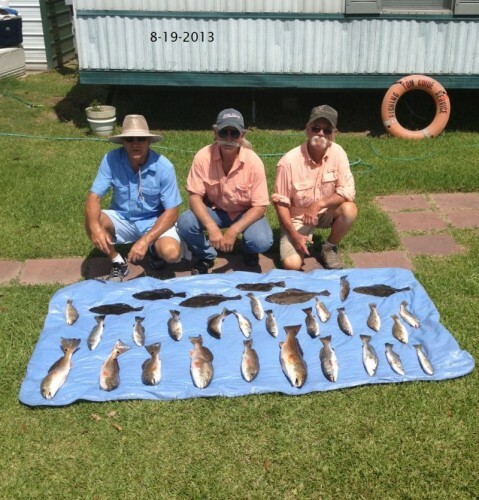 AUGUST 25, 2013 Tom L. , Father Don, & Nephew Santo Catch a Nice Mess of Lake Calcasieu’s Best!!! 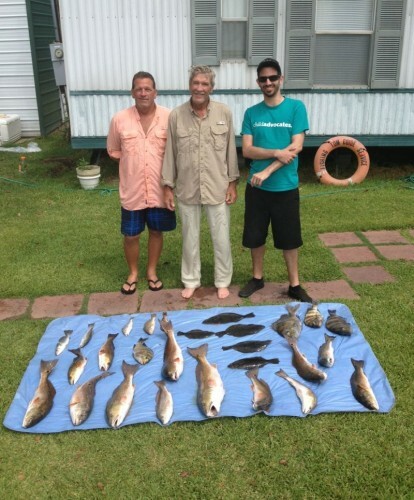 AUGUST 25, 2013 Tom L. , Father Don, & Nephew Santo Catch a Nice Mess of Lake Calcasieu’s Best!! Live bait and lots of hard work went into catching this nice mess despite 20 MPH winds and Storms chasing us around!!! Don put this Nice 8 lb red in the box his second biggest ever!!! 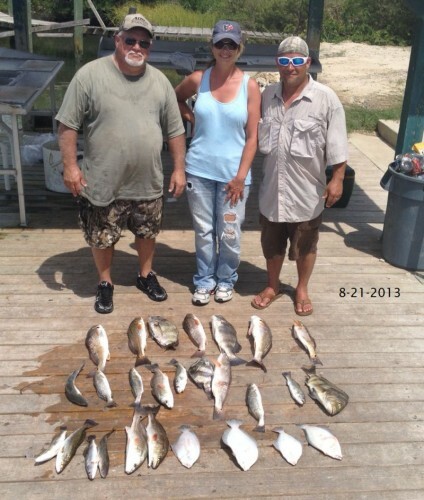 August 21, 2013 Bobby B., Kevin & Tabatha Have a Fun Day on Lake Calcasieu!!!! 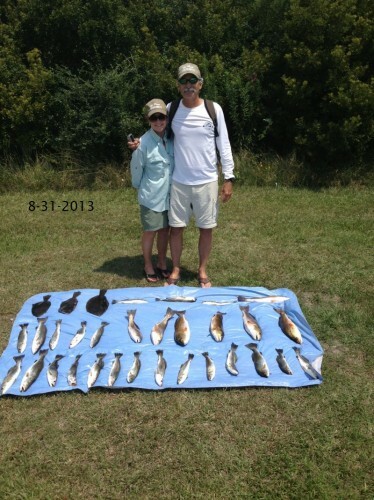 August 21, 2013 Bobby B., Kevin & Tabatha Have a Fun Day on Lake Calcasieu!!! It was a quick start for Tabatha with a nice slam in the first half hour but soon the guys went to live bait and quickly caught their own! August 20, 2013 Day 2 of Fun on the Bayou!!! August 20, 2013 Day 2 of Fun on the Bayou!! Interruption by storms could not hold these guys back from catching a nice mess of Slams on Big Lake today! Plus Tommy S. boated this nice 15 lb Big Lake Bronze Beauty!!! 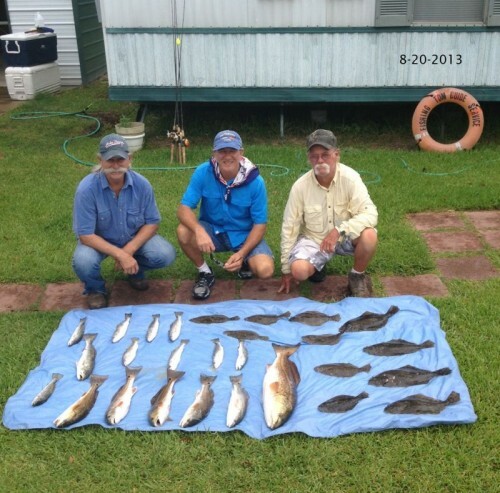 August 19, 2013 Tommy S., Dean & Robert Came All the Way from Del Rio to Fish Lake Calcasieu and Had a Great Day Catching a mess of Lake Calcasieu’s Finest!!! 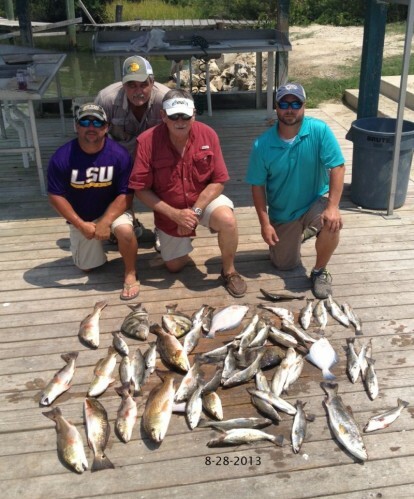 August 19, 2013 Tommy S., Dean & Robert Came All the Way from Del Rio to Fish Lake Calcasieu and Had a Great Day Catching a mess of Lake Calcasieu’s Finest!! Live Bait and Gulp Kept the net busy all day! !